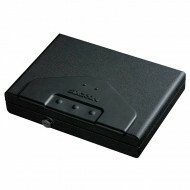 The QAS-1000-E pistol safe has an easy-to program and use electronic key pad. 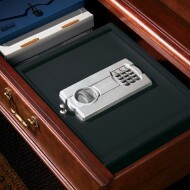 When you enter the code on the key pad, the locking mechanism is released and the drawer pops out. 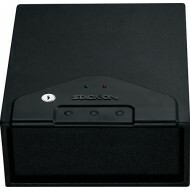 A ball-bearing drawer slide allows the drawer to slide in and out without binding. 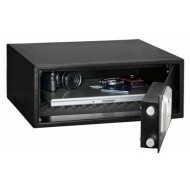 The California Department of Justice has approved this pistol safe for the secure storage of a firearm. 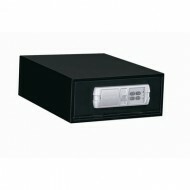 This pistol safe is designed to be secured with a cable which is included.